Released on a new digital print is Stanley Kubrick’s political satire, black-comedy-film that focuses on the fears of a nuclear war erupting between the USA and the USSR. The story tells of Jack D. Ripper, an unhinged United States Air Force general, who orders a first strike nuclear attack on the Soviet Union – then barricades his base to prevent any interruption to the mission. 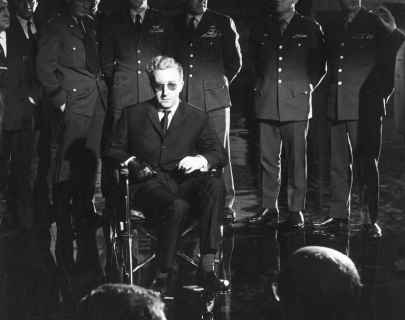 What follows is a series of great comic performances, featuring Peter Sellers in four different roles, as the films characters try to prevent a nuclear apocalypse.